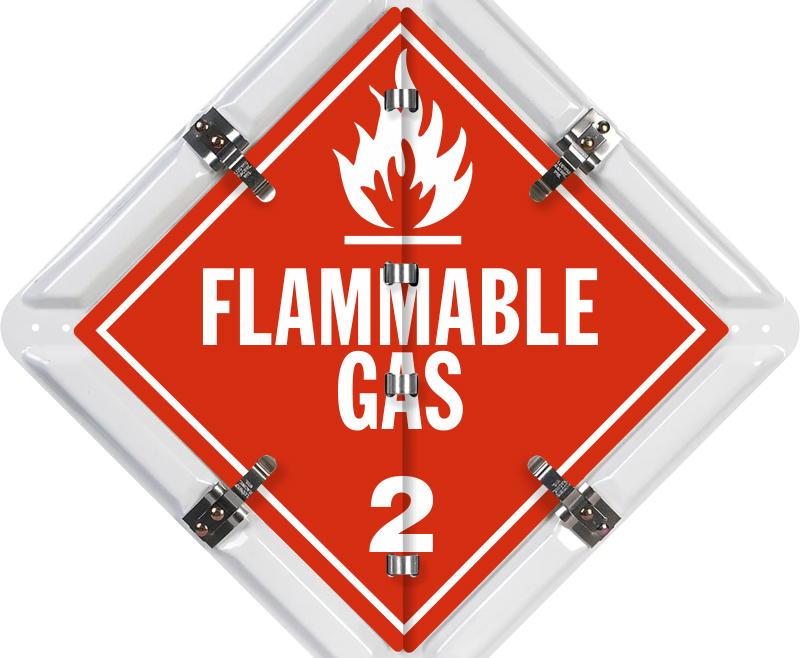 Contents Combustible, Corrosive, Dangerous, Dangerous When Wet, Flammable, Flammable Gas, Flammable Solid, Inhalation Hazard, Inhalation Hazard, Miscellaneous, Non-Flammable Gas, Oxidizer, PG III, Poison, Spontaneously Combustible DOT placard flip panels. 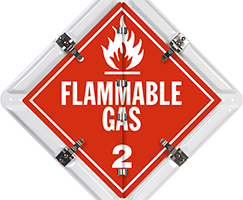 Flexible placard system covers a wide range of hazardous materials. Flip between fifteen different legends. Clipped corners are ideal for roll-up doors. • Top and bottom corners are clipped, allowing the placard to fit onto a single panel of your roll-up door. • Customers appreciate our easy-to-change panels. Switching from one DOT legend to the next is a snap. No other panel system flips as easily. Flipping takes seconds – compare to others. • Yet, our stainless steel snap clips are the industry’s best at locking in your panel. Your panels stay put – even in rough weather, high speeds and wind. Double-riveted clips are made of stainless steel, not aluminum. These clips snap tighter and last longer than competitor’s aluminum clips. • Base panel is coated with a white polyester layer that is baked on for durability.